Departure towards Alta Gracia along Provincial Route Nº 5 passing through an important industrial area of Córdoba city. 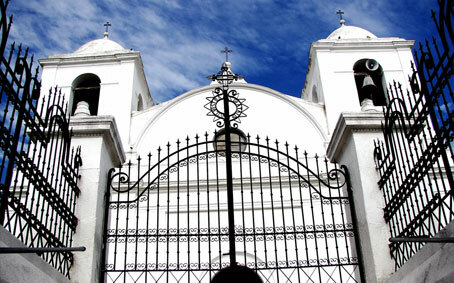 Once in Alta Gracia, Virrey Liniers Museum, the typical Tajamar, the Church built in Jesuit style and Manuel de Falla’s home are visited. The tour continues to Villa La Bolsa, Anizacate, La Serranita, Villa Ciudad de América, through the beautiful mountain road up to Los Molinos dam. Short stop at a unique panoramic view point to contemplate one of the nicest views of the province. Next stop is at Villa General Belgrano, beautiful village of German origin. From this point, we take the mountain road that leads to La Cumbrecita, past wonderful sites as Los Guindos, Inti Yaco and Athos Pampa. Arrival at La Cumbrecita, located at the foothills of Champaquí Hill, the highest peak of our hills. This small village of swiss-german origin with its Alpine architecture, surrounded by huge conifer woods and cascades, offers the visitor an ideal place to rest. Way back to Córdoba in the afternoon. Departure from the hotel to the mountain village La calera along Provincial Route E55 around the margins of Suquía river up to San Roque dam. Short stop to see this important construction, its drainage and the astonishing view of the Lake. Then a visit to Bialet Massé, Cosquín- the venue of the National Folklore Festival- and Valle Hermoso. Arrival at La Falda, with optional lunch. Later, a short city tour around the city and we go on to the mountain circuit. 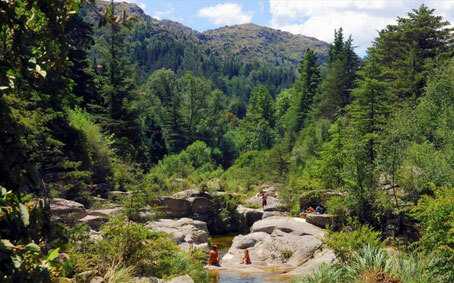 Visit to the villages of Huerta Grande and Villa Giardino, Cruz Chica, Cruz Grande and La Cumbre to get to Los Cocos, where the chair lift, the labyrinth and the museum (optional entrance) are visited. 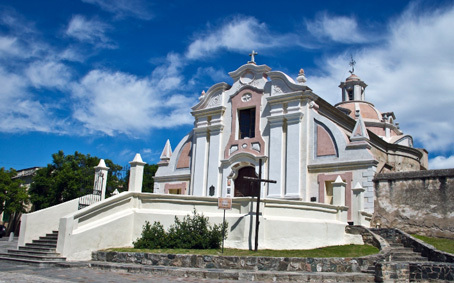 The itinerary continues up to Capilla del Monte where we visit the city and neighboring areas, to admire the Uritorco Hill, the ‘Calle Techada’ and ‘El Zapato’ typical stone formation. Way back along the same route up to Siquiman Park around the western coast of San Roque Lake until Villa Carlos Paz. 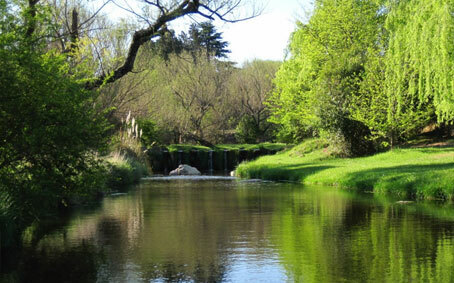 Walk through the Villa and way back to Córdoba along Ing. Justiniano Allende Posse up to the hotels. Departure to the mountain village La calera along Provincial Route E55 around the margins of the Suquía river up the ‘Camino de las Cien Curvas’ to San Roque dam. Short stop to see this important construction, its drainage and the astonishing view of the Lake and then continue the way up to Villa Carlos Paz, with a city tour and free time to visit the main interest places. Way back to Córdoba along Ing. Justiniano Allende Posse Highway. Towards the Northwest of these plains called Pampas are the Sierras of Córdoba with its highest peak, Mount Champaquí, with 2,790 meters. Its fertile valleys contrast with deserts and salt pans, a particularly appealing landscape. Towards the North, scattered chapels and “estancias” begin to appear. These constructions date back to the 17th and 18th centuries, and many of them are a Jesuit legacy. 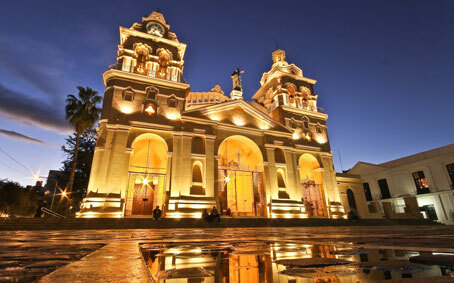 The city of Córdoba, capital of the Province of Córdoba, is the second largest city in Argentina. Due to its privileged location in the center of the Argentine continental territory, it has become an industrial and commercial center. The first Argentine university and also one of the first bishoprics were founded here. Some buildings of interest are the Cathedral, University, Cabildo (Town Hall), Colegio de Monserrat, and Jesuit churches, San Francisco and San Roque. 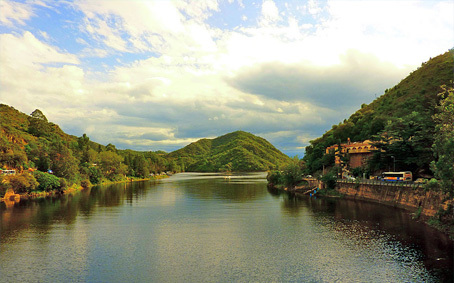 Córdoba is the starting point for several routes to the Sierras of Córdoba and to tourist towns like Villa Carlos Paz, Cosquín, La Falda, La Cumbre, Capilla del Monte, Alta Gracia, Villa General Belgrano, La Cumbrecita, Santa Rosa de Calamuchita, Embalse and Mina Clavero.